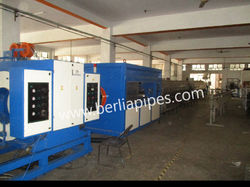 Established in 1990, Berlia Electricals Pvt Ltd. is involved in the area of manufacturing and exporting a broad plethora of HDPE Pipes, MDPE Pipes, Compression Fitting, etc. In their development process, we assure that only top notch basic material is used by our professionals along with modern machinery. Besides this, we check these on a variety of grounds before finally shipping them at the destination of our customers. Working under the mentorship of Mr. Sandeep Tiwari, we have acquired a reputed stature in the industry. Size: 20 mm to 500 mm. ISO : 4427 Pt2 Products available. Full Fledged IS standard Laboratory. Our motto is to Manufacture Hdpe Pipes for sustainable World. 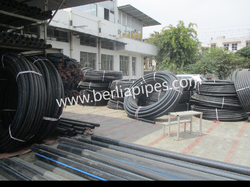 HDPE PIPES are manufactured by best technology available all over world. we have high class machinery through which we achieve huge output at vary nominal energy cost. our HDPE PIPES ARE AVAILABLE IN PATNA, BIHAR , AND ALL OVER INDIA. We have a strict quality control system which ensures that all production is thoroughly checked and then only dispatched. We Manufacture Hdpe Pipes with great accuracy and passion, quality and customer satisfaction are two most important sutras in our work environments. Since the inception of our firm, we have backed by an ultra-modern infrastructure. Also, this is divided into many units like manufacturing, warehousing, packaging, distributing, in-house testing and sales & marketing. In addition to this, to manage these units of our infrastructure, we have appointed a team of skilled and talented professionals.